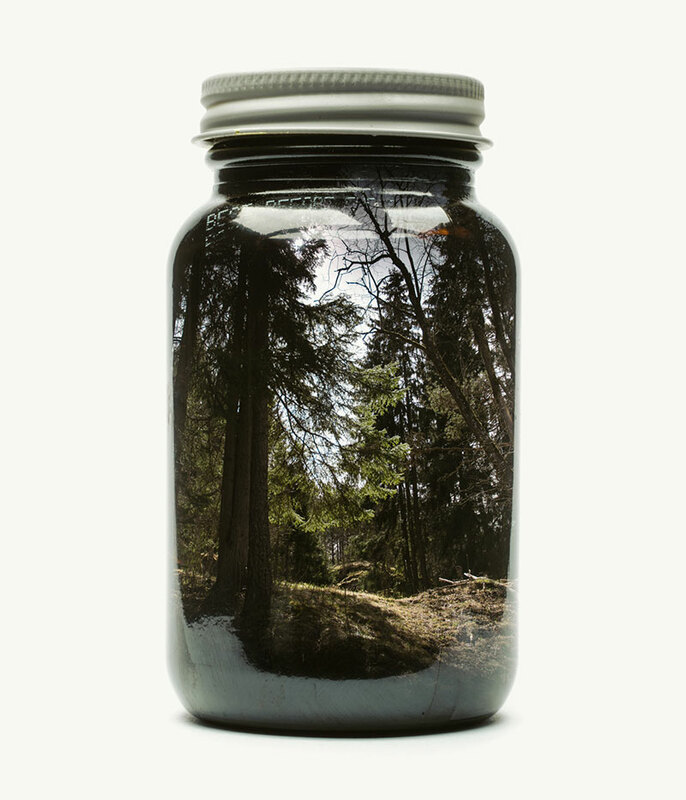 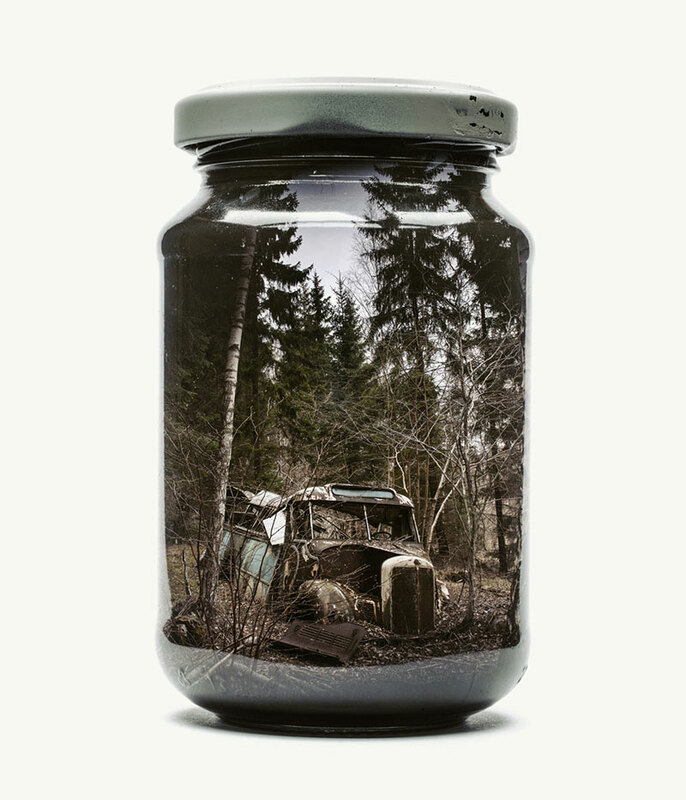 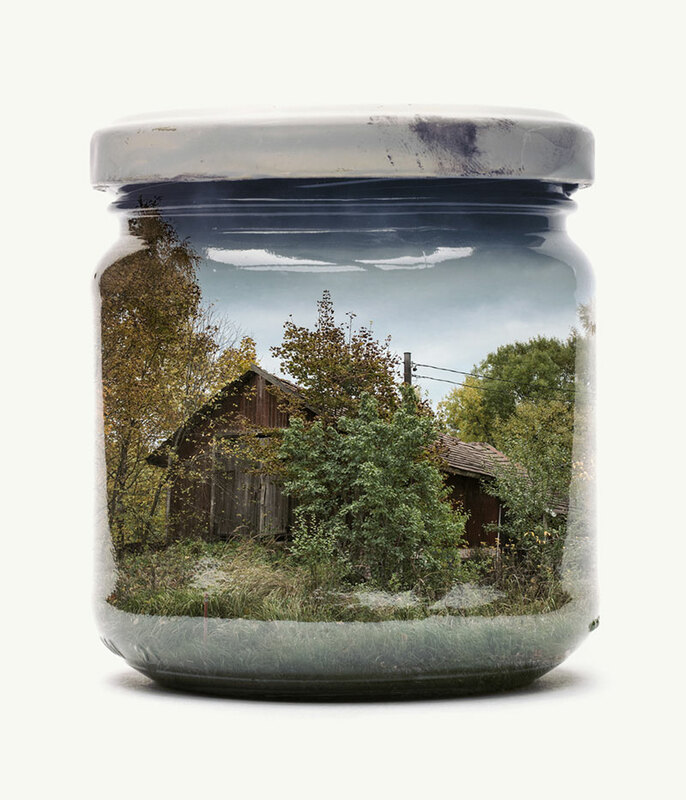 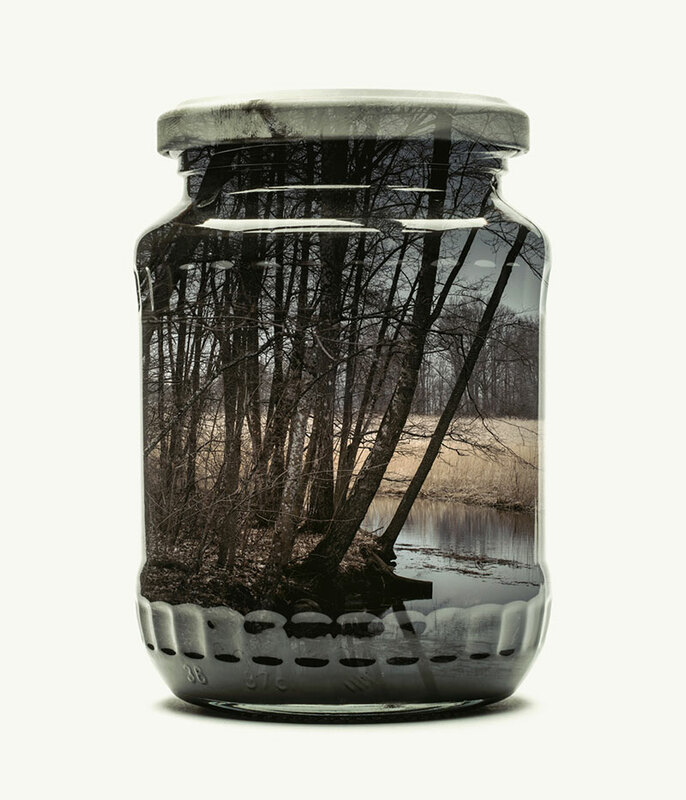 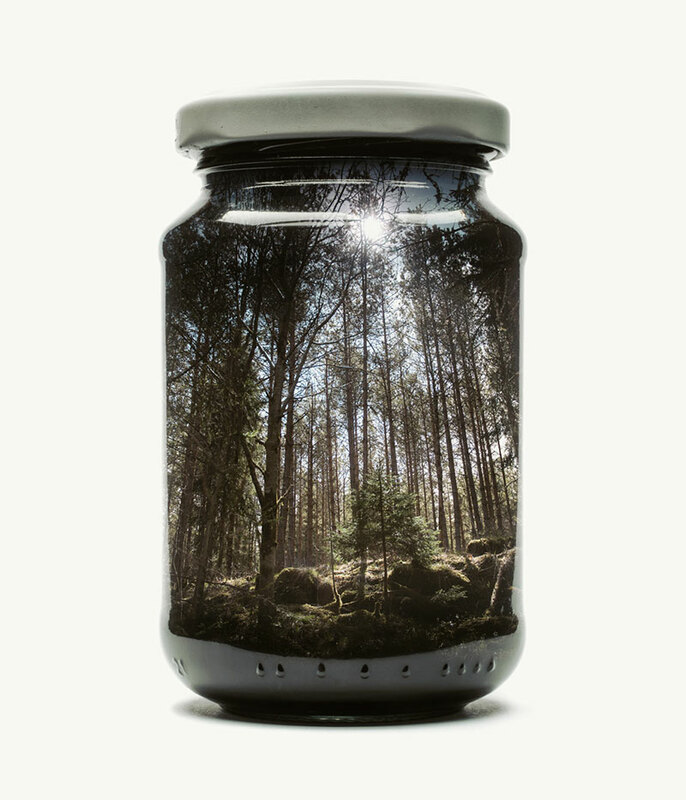 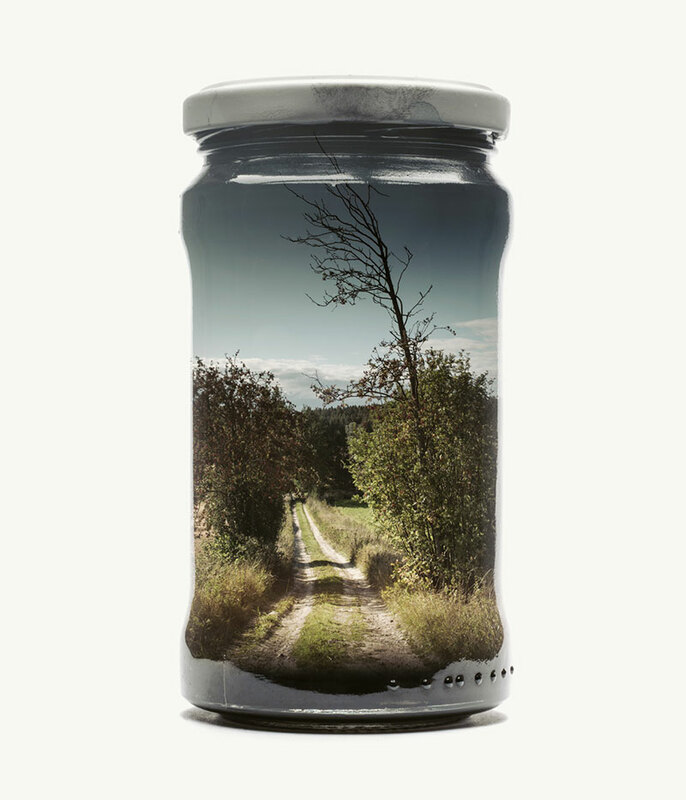 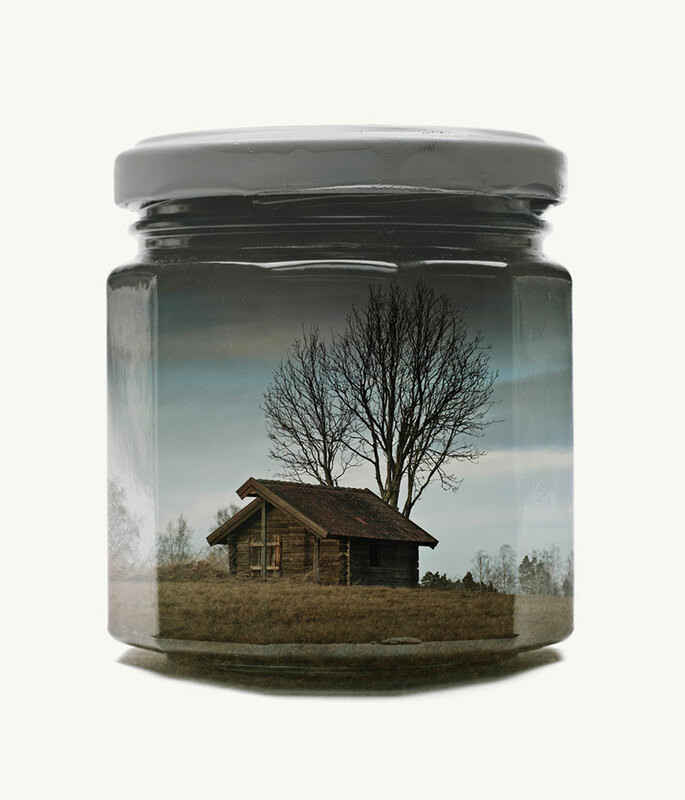 This ongoing project by Finland-based photographer Christoffer Relander was a realization of a childhood dream—that of being an ambitious collector conserving environments into his own personal collection by placing them inside food jars. 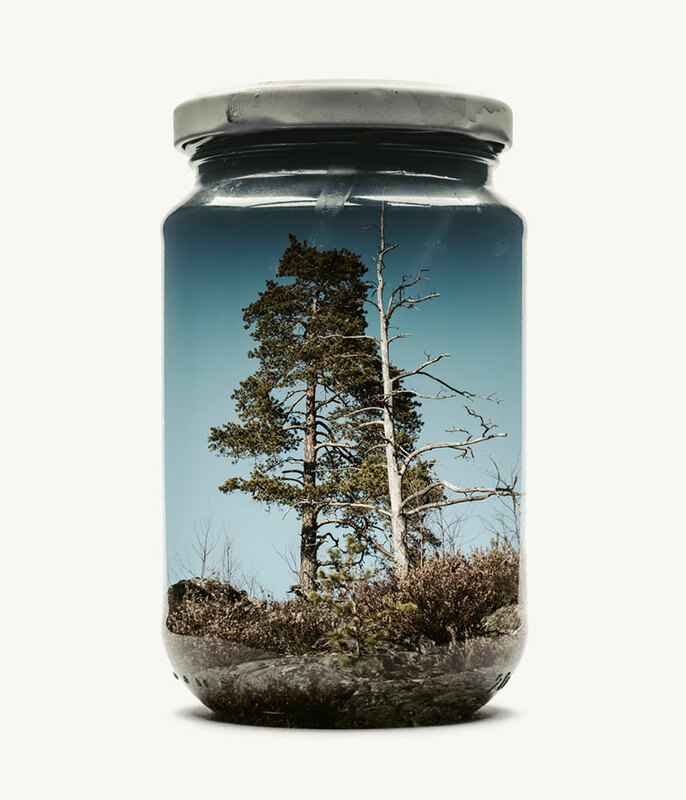 Most of the landscapes were shot in the countryside in the south of Finland, where he grew up and where his roots still lie. 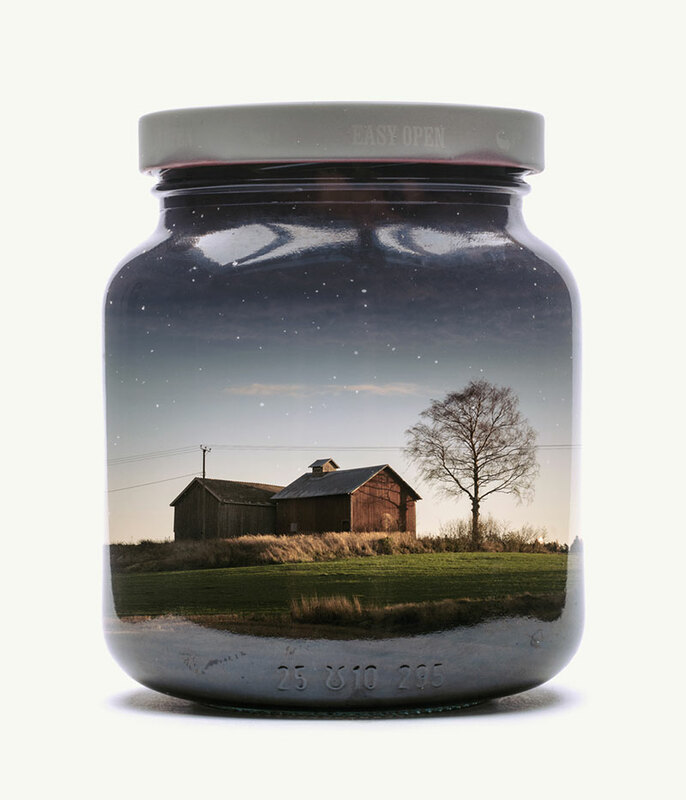 All the images are double exposures shot in-camera and was not created using an external software. 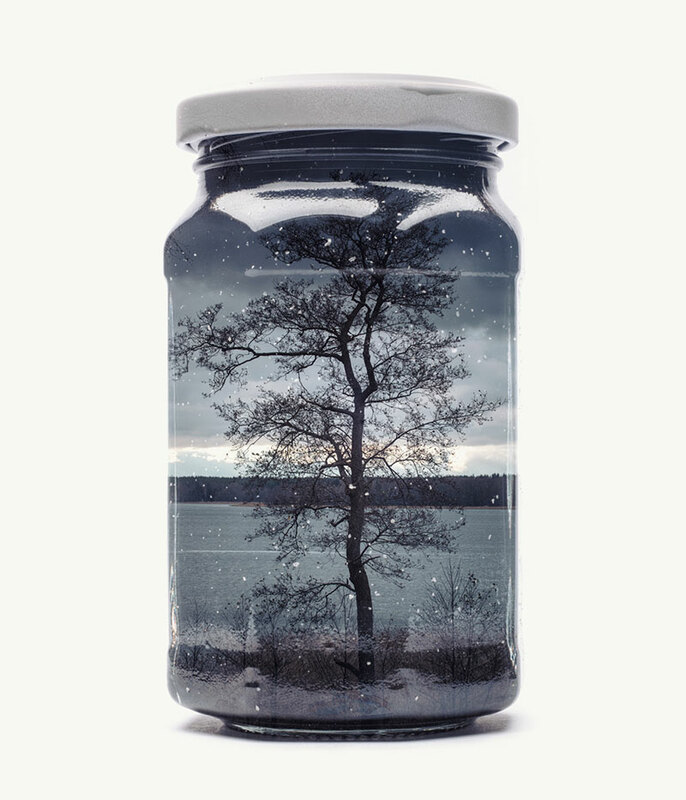 This ongoing project by Finland-based photographer Christoffer Relander was a realization of a childhood dream—that of being an ambitious collector conserving environments into his own personal collection by placing them inside food jars.